Cat owners in Bristol are being encouraged to keep their pets safe this summer by having their feline friend microchipped. 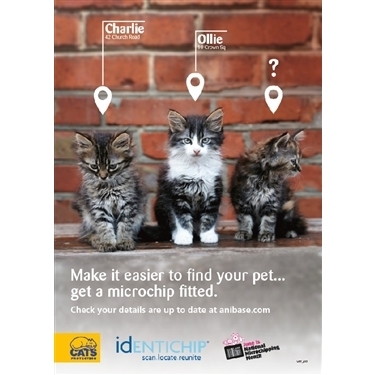 Cats Protection’s Bristol and District branch is supporting National Microchipping month which takes place during June and promotes microchipping as part of responsible pet ownership. Though microchipping is a safe and permanent means of identification which increases the chances of a missing cat being reunited with its owner, the charity says that around 85 per cent of the cats that come into its care are not microchipped. Lesley Ellett said: “I cannot stress how important it is that cats are microchipped. It would give cat owners more peace of mind and enhance our ability to reunite missing cats with their owners. For more information about microchipping and the work of Cats Protection, please contact Cats Protection’s Bristol and District branch via email at CPBristol@outlook.com or leave a message on our Cats Protection Branch helpline answer-phone on 0117 9665428..